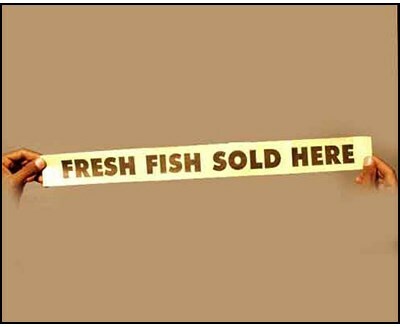 A long strip of paper with the words "Fresh Fish Sold Here" printed on it is displayed to the audience. The magician then tells the audience a story, during which he removes single words from the strip by ripping them off. At the end of the story, the only word left is "Fish." He then folds the separate pieces into a bundle, says the magic words and opens it out to show the paper completely restored!